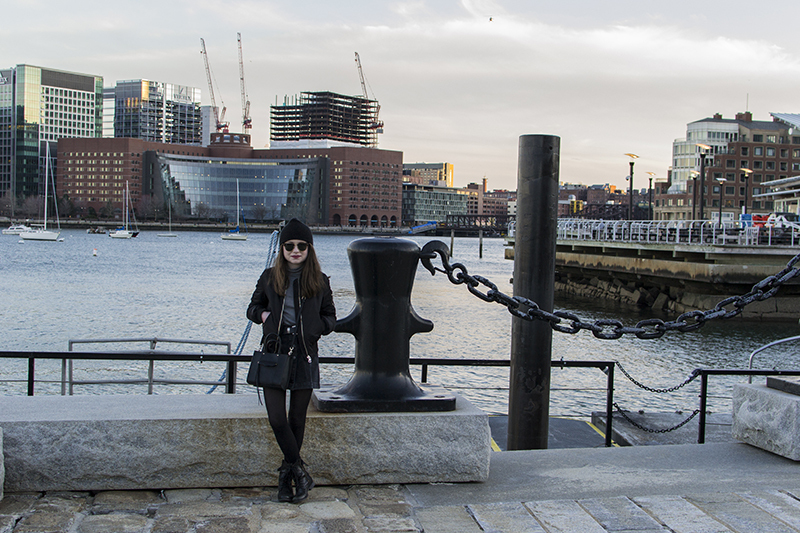 The Boston Harbor is one of my favorite spots to visit in the city. It's beautiful, peaceful, and perfect for pictures. Taking a walk along the harborside is a nice escape from the busy city streets and a change of scenery. I forget I'm in Boston as I look across the water and watch the boats float off into the distance. 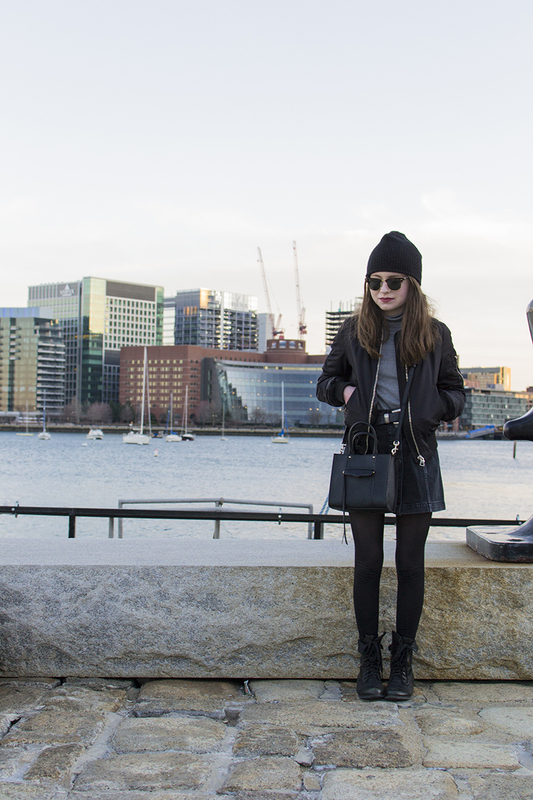 As it still gets breezy down by the harbor this time of year, I wore a light turtleneck sweater, bomber jacket, denim skirt with tights, combat boots, and beanie to keep warm. Dressing in layers is key during the springtime, especially in Boston, where the weather is unpredictable. One thing I can always count on is a stunning city skyline.